More than 10 years have passed since the last war between Israel and Hezbollah ended in a U.N.-brokered ceasefire. The 34-day conflict in July-August 2006 displaced a million Lebanese and half-a-million Israelis. Since then, Lebanon-based Hezbollah has amassed an enormous arsenal rockets and missiles, some capable of hitting anywhere inside Israel. Another war between the two will therefore likely prove much more devastating to both sides. The 2006 war began after Hezbollah ambushed, killed and kidnapped Israeli Defense Forces soldiers in the Israeli-controlled Shebaa farms region. The IDF subsequently launched an air campaign against Hezbollah, ravaging Lebanon’s infrastructure but failing to achieve its goals of stopping the militants from launching rockets. There were several surprises in this war, which illustrated shortcomings in Israeli military calculations, resulting in post-war inquiries and investigations. Hezbollah badly damaged an Israeli frigate, the INS Hanit, with a Chinese-made anti-ship missile. In the later stage of the war, an Israeli ground incursion coupled with haphazard planning by commanders—and Hezbollah’s possession of Russian-made Kornet anti-tank missiles—enabled the militant group to inflict heavy losses on Israel’s Merkava tanks, lauded by Israel as the safest in the world. Hezbollah survived the war and has since rebounded, amassing more arms, in both quality and quantity, and has acquired more combat expertise since its intervention in Syria on the side of Bashar Al Assad. Both sides have clashed since, but avoided a full-blown conflict. Given the consequences of another war, Israel will think twice before considering another wide-ranging operation aimed at degrading Hezbollah’s capabilities. However, if another war does occur, Israel will likely attempt a much larger offensive than in 2006. Israel has targeted suspected regime convoys in Syria with air strikes—carried out intermittently since at least January 2013—to prevent Hezbollah from acquiring Russian-made anti-aircraft weapons. Were Hezbollah to come into possession of such weapons, it could try and undercut Israeli air superiority, something which Israel has always sought to achieve in the opening stages of its wars. “The current inflamed rhetoric and complications of the Syrian war and Hezbollah’s intervention there, as well as Israel’s policy of striking suspected Hezbollah arms convoys and arms supplies in Syria, has raised the chances of a miscalculation that leads to an escalation and war more quickly than either side can dial it back,” Blanford added. While Blanford believes that the chances of a war occurring soon are low, there are influential voices in Israel which have called for attacking Hezbollah while it’s busy fighting in Syria. “The thinking goes that Israel can absorb a week or so of Hezbollah rocket barrages in exchange for smashing Hezbollah’s military infrastructure in Lebanon and knocking its capabilities back a few years,” Blanford said. The de facto deterrence in place does not mean Hezbollah has achieved parity with the Israeli military—quite the contrary. Nevertheless, the militia can make another war much more costly to Israel than the last one, and possibly bloodier than any conflict since the Jewish state’s conventional wars in the 1960s and 1970s—or even, Blanford estimates, since Israel’s first war in 1948, when it lost one percent of its population. Lebanese civilian casualties would likely be high. Since Hezbollah could fire an estimated 1,500 rockets a day at Israel—which could seriously strain Israel’s anti-missile defense systems—the Israeli Air Force may resort to bombing as many as 200 villages in South Lebanon, Hezbollah’s stronghold and where the militant group has scattered its rocket launchers. It’s also likely that Hezbollah will attempt to infiltrate fighters into Israel to stage ambushes and overrun border settlements. The goal—create chaos. Hezbollah’s leader Hassan Nasrallah even went so far as to claim that in the event of another war Hezbollah will invade Israel’s Galilee region. Nasrallah’s boasts should be treated with skepticism, but if such a move is successful even for just a few days, it would greatly hurt Israeli prestige and morale. The question is what Israel plans to do about it. 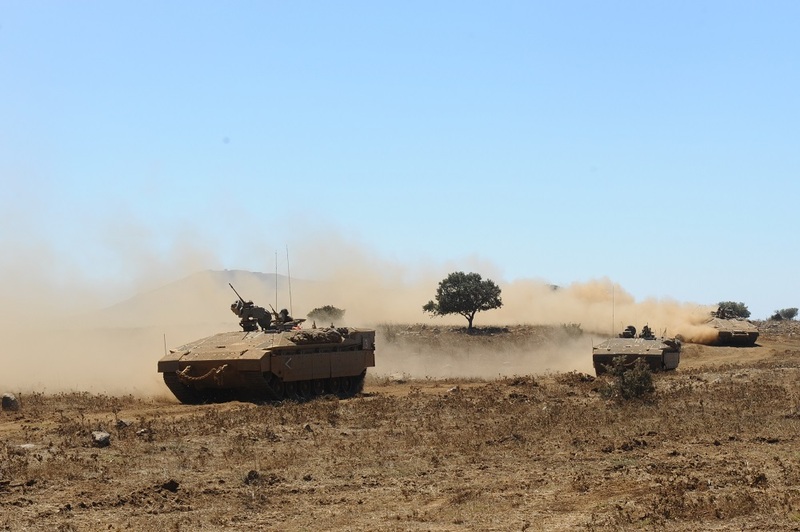 For its part, the IDF is preparing for the possibility of a large and rapid ground invasion of South Lebanon. In precise military terms, Israel is preparing for a war of maneuver designed to take the battle into enemy territory, forcing Hezbollah to react and thereby making its soldiers and rocket troops easier to spot and kill. This shift in Israeli doctrine derives from Israeli’s failure to inflict long-term strategic defeats on Hezbollah in 1993, 1996 and 2006 by over-relying on air and artillery strikes, according to Assessing Israeli Military Effectiveness, a 2014 thesis by analyst Matthew F. Quinn. “This approach proved ineffective because Hezbollah operated unconventionally and therefore could not be decisively engaged by artillery fires or air strikes and instead operated as pairs or individuals to fire rockets in ‘under a minute’ and then intermingle with the local populace immediately before the IDF could effectively react,” Quinn wrote. Even though Israel’s opening air campaign during the 2006 war had some successes, it wasn’t enough—and with rockets continuing to fire, the IDF rushed in ground troops who were disorganized and unprepared to deal with a skilled and opaque enemy. Hezbollah’s short-range rockets continued to pummel northern Israel until a ceasefire halted the fighting. These ground forces “were poorly integrated at the last moment, causing Israel to fail in achieving its desired objectives,” Quinn noted. Domestic aversion to casualties in Israel likely contributed to the IDF’s reliance on warplanes and artillery instead of combined-arms operations. In one instance, the IDF halted an entire battle because of one casualty. The problem is that an army which is simultaneously under-prepared and overly-cautious is an army that will fail to take the initiative—and may therefore suffer greater losses than it otherwise would have. At least 121 Israeli troops died in the 2006 war and more than 1,200 were wounded. Israel adopted a combined arms strategy during the 2008-2009 war with Hamas in the Gaza Strip. Israel lost 10 soldiers during the Gaza war, four of them to friendly fire. The IDF considers that war, referred to as Operation Cast Lead in Israel, to have been an operational success—and its ferocity took Hamas by surprise. “Without IDF infantry, armor, artillery, combat aircraft, and intelligence gathering platforms working in concert, it was very possible that Israel could have suffered the same result in Gaza in 2009 that it did in 2006 Lebanon,” Quinn reasoned. 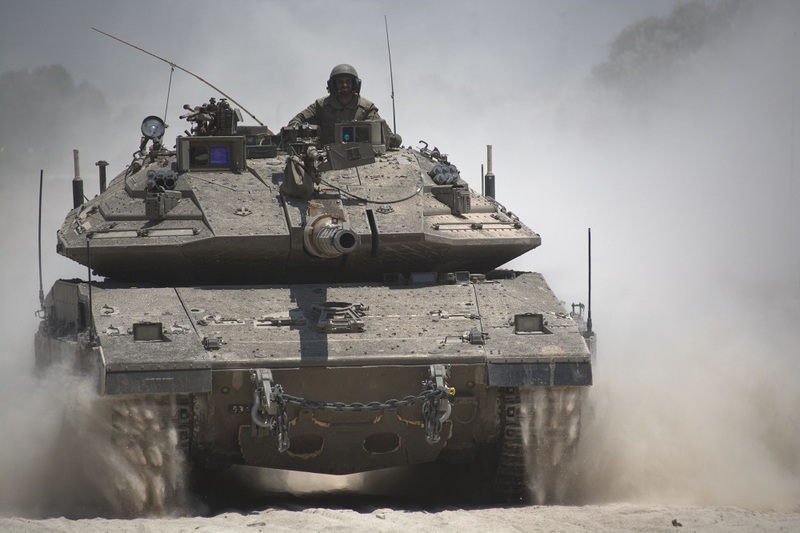 The IDF has also since bolstered its mechanized reconnaissance units, including heavily-armored Namer vehicles with 60-millimeter mortars, designed to help locate and destroy small teams of the kind fielded by Hezbollah.